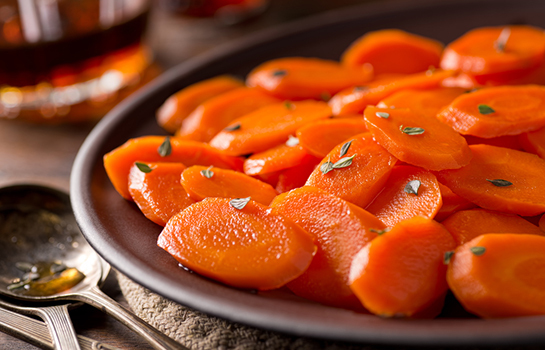 Add carrots, sugar, and salt; cook until carrots are golden, about 10 minutes. Add juice; reduce heat. Simmer, partially covered, until carrots are tender, about 20 minutes. Cook, uncovered, 2 to 3 minutes more to thicken glaze.